Dr. Doug Bibus is community faculty member at The Center for Spirituality and Healing at the University of Minnesota and a researcher in the area of fatty acid biochemistry and nutrition. Dr. Bibus is considered one of the top Omega-3 experts in the world. He stems from the academic lab of Dr. Ralph Holman who standardized Omega-3 terminology and discovered the metabolism and definitive essential nature of Omega-3. In addition to his work with the Center, Doug is president of, and directs, Lipid Technologies, LLC, an analytical and consulting group that focuses on fatty acid and lipid analysis, and the integration of lipid nutrition in biotech and food applications. His research interests include the role of essential fatty acids in human and animal nutrition, the role of Omega-3 fatty acids in the down regulation of the inflammatory response and the application of fatty acids in the treatment of disease. Other ongoing research is the examination of the role Omega-3 and fatty acid nutrition plays in the treatment of depression, schizophrenia, Tourette’s syndrome, cystic fibrosis, Crohn’s disease, heart disease, arthritis, critically injured and adult respiratory distress patients, and in patients with autoimmune disorders. Dr. Bibus has also developed an Omega-3 blood test (omega3test.com) to identify levels of Omega-3 in the blood and ascribe risk for heart disease and depression. Dr. Bibus is a member of several organizations including the American Oil Chemists’ Society (serving as their Awards Chairman), the American Chemical Society, the Society for Critical Care Medicine, and the International Society for the Study of Fatty Acids and Lipids. He has been the recipient of the American Oil Chemists’ Honored Student Award and a two-time winner of the American Chemical Society’s Award in Analytical Chemistry. Doug is a board member of the Health and Nutrition Division of the American Oil Chemists’ Society and also serves on that society’s Foundation board. In addition to presenting at numerous professional meetings, Dr. Bibus is a sought-after lecturer and author in the area of human and animal health. 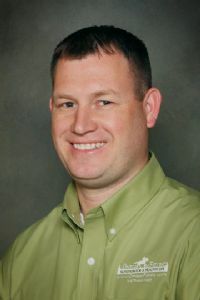 Omega Fields® is pleased to welcome Dr. Kris Hiney, Equine Nutrition & Exercise Physiology, University of Wisconsin – River Falls, as our Equine Nutrition Advisor. Kristina Hiney, Ph.D. brings the benefits of her distinguished academic training and professional career relating to equine nutrition and physiology. "I am pleased to join the Omega Fields® team where I will be able to bring my expertise in equine nutrition and my experience in the horse industry together in a way to benefit horse owners across the country," expressed Dr. Hiney. Dr. Hiney’s extensive personal knowledge and experience in equine-related business and associations will help Omega Fields expand our connection with you, our customers. Each month, you can look forward to a new feature article concerning equine health and training in Kris’s Korner, in Omega Fields’ online Health-E-Letter. Click here to sign up for your free Health-E-Letter subscription delivered to your email address! As Omega Fields’ Equine Nutrition Advisor, Kris will also be providing technical expertise for Omega Fields’ Animal Nutrition Team concerning new product research and formulation — developing Omega Fields’ products that are nutritionally relevant to current health issues regarding horses and pets. "We are excited to have someone of Dr. Hiney’s caliber partnering with Omega Fields®,” commented Sean Moriarty, Omega Fields’ CEO. "Dr. Hiney’s input will help us meet and exceed our customers’ needs and expectations as she shares her equine nutrition and physiology expertise through her monthly articles. She will also be working with our Animal Nutrition Team to expand our premium equine product lineup to meet the more diversified nutritional needs of our customers’ treasured breeds and riding disciplines." Please click here to read Dr. Hiney’s articles from Kris’s Korner. Dr. Hiney’s undergraduate education was at the University of Illinois Champaign/Urbana. She graduated with a 5.0 on a 5.0 scale (University Honors). She received her Master’s Degree in Animal Science from Texas A&M University in the area of equine exercise physiology and her Ph.D. from Michigan State University, also in animal science. Kris was a Distinguished Graduate fellow at Michigan State University and a Regent’s Fellow at Texas A&M University. Both of her Master’s Degree and Ph.D. projects focused on bone development of the immature animal. Dr. Hiney has authored or co-authored seven peer-reviewed publications as well as numerous abstracts. She has been an invited speaker at the MN 4-H Leader’s conference, the Wisconsin 4-H Leader’s conference, the 2004 Conference on Equine Nutrition Research and for Cargill Animal Nutrition. Currently Kris is a member of the American Society of Animal Science, where she serves as a peer reviewer for publications and their online photo archives; and a member of the Equine Science Society. In 2006, she was an evaluator for the graduate student paper competition in Exercise Physiology. She also won the graduate student competition of ESS (formerly known as the Equine Nutrition and Physiology Symposium) in exercise physiology and management in 1999 and in 2001. At present, she is the Vice-President of the National Horse Judging Team Coaches Association. In the equine world, Kris is a member of the American Quarter Horse Association, the National Reining Horse Association (where she is a carded judged), and the North Central Reining Horse Association. She trains and shows her own horses in the reining horse industry. In 2008 Dr. Hiney received a grant from the AQHA to do International Horsemanship camps in Norway, Denmark, and Sweden, traveling with three students from UWRF. She also serves frequently as a clinician or horsemanship instructor for many 4-H organizations in Wisconsin and Minnesota. At the university, Dr. Hiney serves as the Western Intercollegiate Horse Show Association Coach and as the Horse Judging Team Coach and Horseman’s Advisor. Her horse judging teams have won the AQHA World title twice (1997 and 1998, Texas A&M), Arabian nationals champion (2000) and reserve champion teams (2001, Michigan State), as well as numerous top five finishes at the NRHA Futurity contest and the NRBC judging contest. She also serves as the breeding manager for the horse farm. 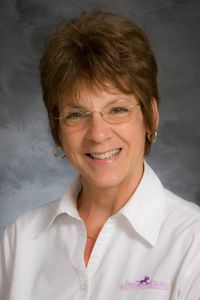 Dr. Hiney is a member of the Faculty Senate at UWRF, and serves as the Secretary for the Senate as well. It has been a great privilege to work alongside such talented and committed people and ones that share my passion for excellence. I am always thrilled to hear our customers tell their stories about how Omega Field’s products have helped them and the animals they love. I am very proud of the products we’ve created and even more proud that so many of you have found them to be of value and continue to buy them!! We will remain committed to providing superior, affordable products that you can trust. I feel blessed everyday because I work for an amazing company – I truly enjoy each person I work with and believe whole heartedly in our company’s values, business methods and, most of all, our products. Our Omega Fields products are truly amazing. They are made with all-natural, superior ingredients and are affordable. Omega Fields is a perfect fit for me because I love animals, nutrition, flaxseed and working with people. The company has provided me with multiple opportunities to voice my opinions, provide suggestions, and present innovative ideas to increase our company’s brand awareness. It is an honor to have a voice in many aspects of this company beyond sales. Omega Fields is not just a job for me – it is a vital part of my life. I continue to learn something new each day and love having the opportunity to work with other flax enthusiasts. Omega Fields has a positive work environment that allows me to grow in my position, and to positively influence animal and human lives. What an exciting opportunity it is to be part of the Omega Fields Team. How could you not love working with a company that sets the standards for Quality Products and Excellent Customer Service? I am very privileged to have a position that many would consider just a job, but, to me, is much more — it is being a part of a Team. Everyone here at Omega Fields fills an important role in determining our success and achieving our goals. Together we manufacture the highest quality products, provide top notch customer service and delight in the knowledge that our team cannot be matched. Knowing that our customers will have a positively memorable experience working with us, combined with having the best products in the world… That is why I love my job! Being directly involved in Omega Fields’ growth these past years has been exciting, challenging, and fun! I am proud and honored to work in the fastest growing area of the animal and human market as an active team member. At "Team Omega Fields" we set high goals for quality products and customer service, carry on our work with integrity, and are blessed to be able to accomplish those goals. Since I have a personal interest in a more natural approach to equine, animal and human nutrition, Omega Fields is a great fit for me. The fact that I get to work alongside some of the best people in this business (we have an amazing team!) is just icing on the cake! I also absolutely enjoy the countless opportunities I’m blessed with to talk with so many of our loyal customers (there’s none finer!). In other words — I love my job! Any animal lover can tell you just how important their pets are to them. I, myself, am deeply attached to my two precious dogs, Noah and Ellie. This love for animals and for their health is just one of the reasons I enjoy working for Omega Fields! With each bag of Omega Horseshine or Omega Canine Shine that I see purchased daily, I think of the animals receiving that bag and how they will live a happier and fuller life because of our product. I also love telling customers about our Omega Nibbler horse treats and our Omega Nugget dog treats! My dogs love Omega Nuggets and I don’t have to feel guilty feeding a large amount of treats, because they are so healthy for them! Daily I receive calls from customers sharing with me their wonderful experiences with our products and how much they have helped their horses and dogs! It is wonderful to know I am part of a team so dedicated to helping others and their animals! We believe we produce the best stabilized ground flax supplements for your horses, dogs, chickens, goats and yourself! We believe our customers and the animals they love can improve their health by using the products created by our proprietary flax stabilization and food safety technology. We believe that you should have an exceptional experience with our products, our staff, and our retailers. Our commitment in order to achieve our mission is simple: offer the finest quality, most nutritious flax based supplements for you, your horses, dogs, chickens, and goats at a fair price and provide outstanding customer service. I hope you try our products, and tell you friends about them. Then we’d love to hear from you! Click Read to View Our Product Safety Statement. Omega Fields remains committed to keeping "quality" as our number one focus, with the emphasis on natural, human-grade, non-GMO ingredients, no “filler” ingredients, shelf stability, nutritional value, and excellent Customer Service. It is because of our uncompromising insistence for quality that we choose to source our flaxseed from North America — not from less proven sources such as Eastern Europe or China. Although Omega Fields does not have an organic product line, we take great pride in being able to assure our customers that all Omega Fields’ products are natural, without added chemicals or preservatives, to provide good health and well-being for people and their animals. You can have confidence in the Premium, Human-Grade, Non-GMO, 99.9% Pure, Triple-Cleaned, Human-Grade, Stabilized, Ground, Fortified, Full-Fat, Whole-Food Flaxseed we use in all our formulas — as it is protected from rancidity or loss of nutritional value. It is the whole seed ground, so it contains 100% of the Omega 3 oils naturally present in the flaxseed. Another naturally occurring phenomenon that especially protects flax seeds in the field from outside toxins is that they are formed and stored by the flax plant in a tight boll (see attached photo). This means flax seeds are much more protected than corn, oats, wheat, etc. — in which plants the seeds are 100% exposed to toxins.